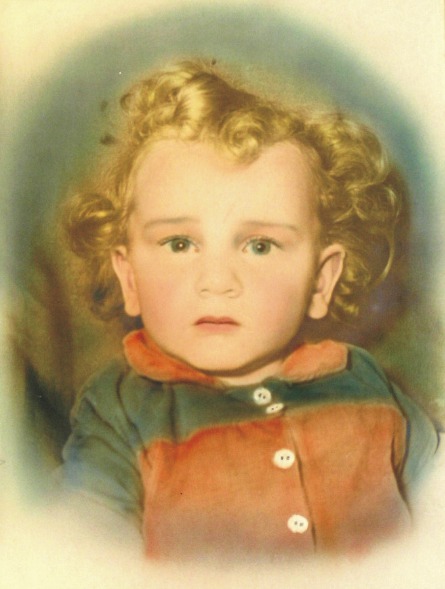 Mathieu Hamaekers was born on 1 may 1954 in Ophoven, a small village in the north-east of Belgium. Latijn-Wiskunde at the Heilig Kruis College 3680 Maaseik. 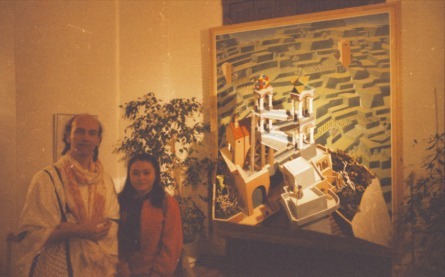 from de Nationale Pro Civitate competition with the artwork from the thirth year 1975-1976. 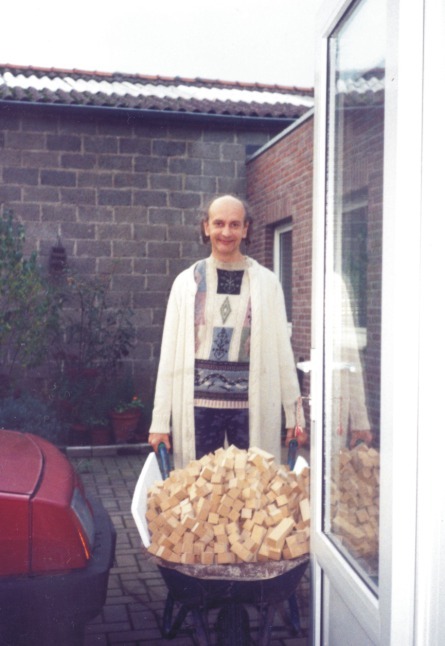 IUL Internationale Universiteit of Lugano 1976-1990 Psychologie and Parapsychologe & Comparative Religion Sciences. With great distinction in 1984. The structure of the Akasha Kroniek. 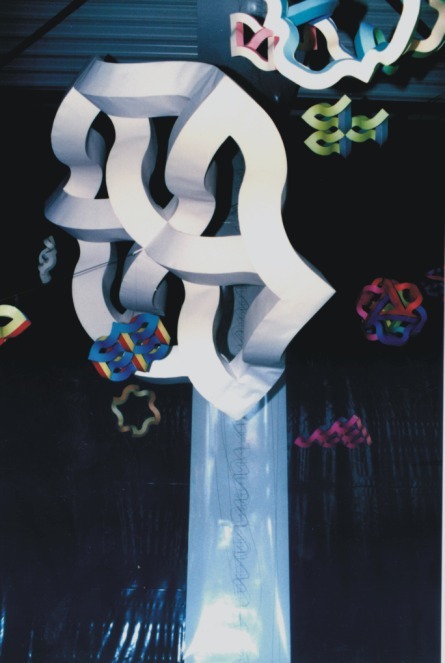 Theme: “The Evolugram”, a three dimensional thinkmodel. 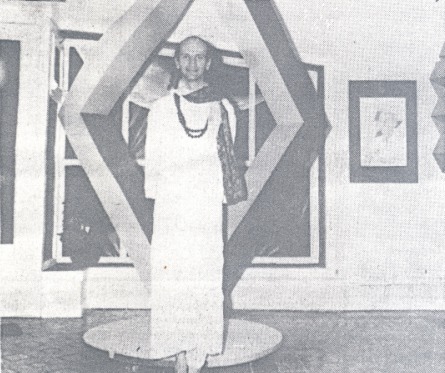 1984: Exhibition of his artwork from 14 until 30 years. Theme: Transformation; Exhibition of the first impossible sculpture "Mathematical Ballerina. 1986: International Exhibition in the Museum of Contemporary Art of Utrecht, The Netherlands "Adventures with several Impossible Figures." Exhibits from Mathieu Hamaekers. 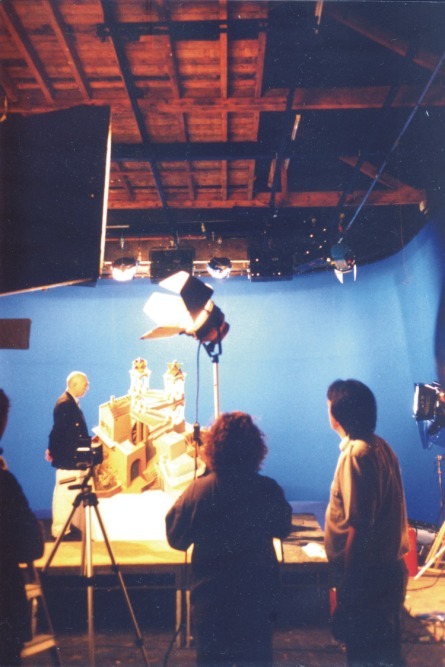 "The Impossible Triangle", "The Rotron", "The Kuboïd" and the "Shielt Of David" and the maquette "Eshers Waterfall". 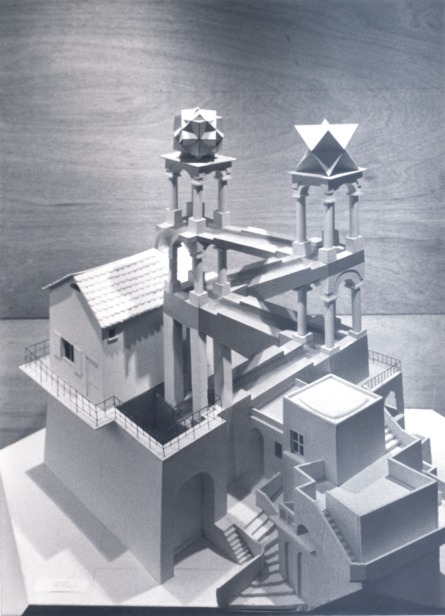 1987 Exhibition of Escher's work in the Netherlands. 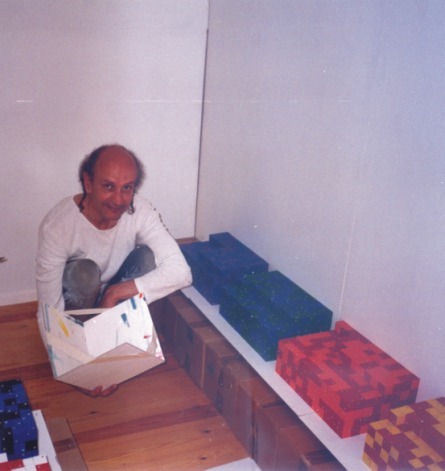 Exhibits from Mathieu where the "Impossible Waterfall" as a colorpainting and the maquette of the "Impossible Waterfall" in color. 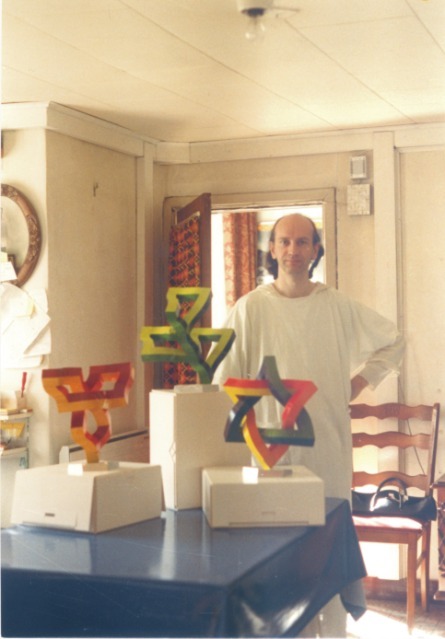 1989: International Exhibition in Japan, with three sculptures of Mathieu. 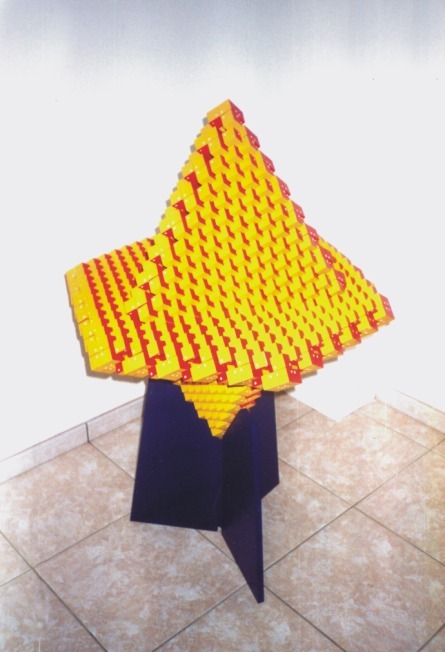 1990 - 1992: Some conceptual installations about the Theme: Makes Art the Gallery or the Gallery the Art? 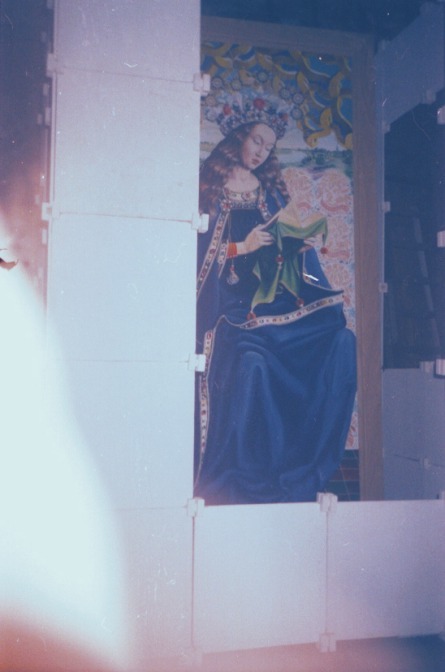 Part 1: 1991: Mathieu paints a copy of the a part of the world famous painting "The Lam of God" of Van Eyck as it was his 600th birthday, named the "New Virgion". maakt als Hulde aan 600ste verjaardag van Jan Van Eyck een kopie van een deel van het Lam Gods, genaamd “A New Version”. 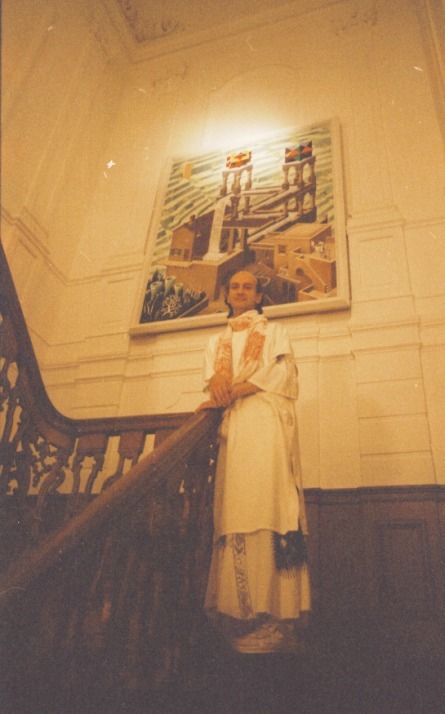 The painting was initiated in the Church of Mathieu's village and thereafter exhibited in the BBL Bank (now the KBC) in Maaseik from September to December. Part 2: 1990-1991 De Stal. Installation during Christmas in one of the last Farms in Maaseik with the New Virgion in a cube frame. 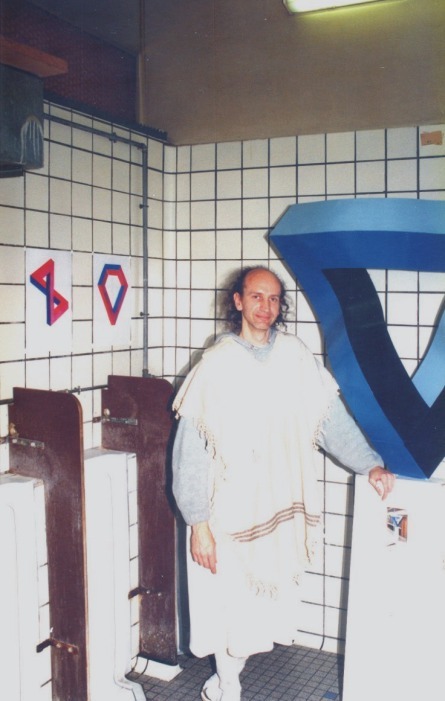 Part 3: Conceptual Installation in the Toilets of the St. Pieter-trainstation of Gent 1991-1992, named Beyond old and New. Theme: The reversal of the philosophy of Duchamp. 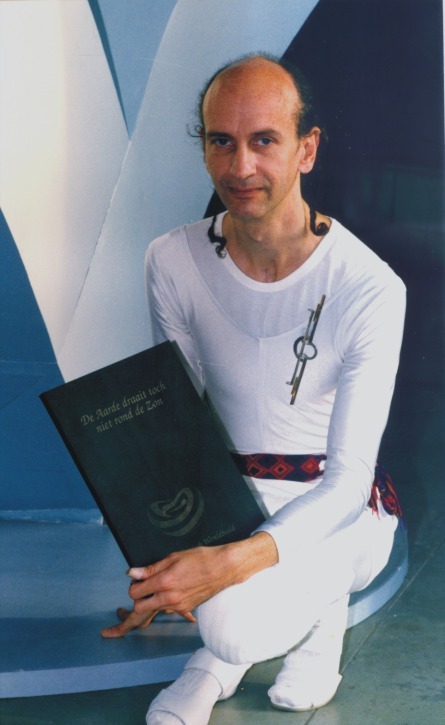 1994: Conceptual confrontation "The Earth doesn't turn around the Sun", in the Europlanetarium of Genk, together with the book The Galactic Worldview, a new Worldview for the next Millennium with 140 handmade drawings. 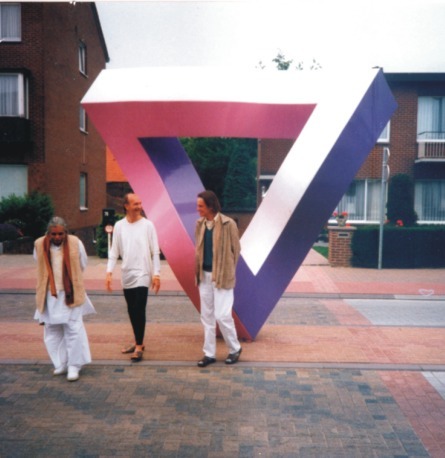 1995: Opening van Unity, een sculptuur van de onmogelijke driehoek, gemaakt van hout en polyester in het centrum van de gemeente Ophoven. Harish Johari brings a visit to Mathieu. 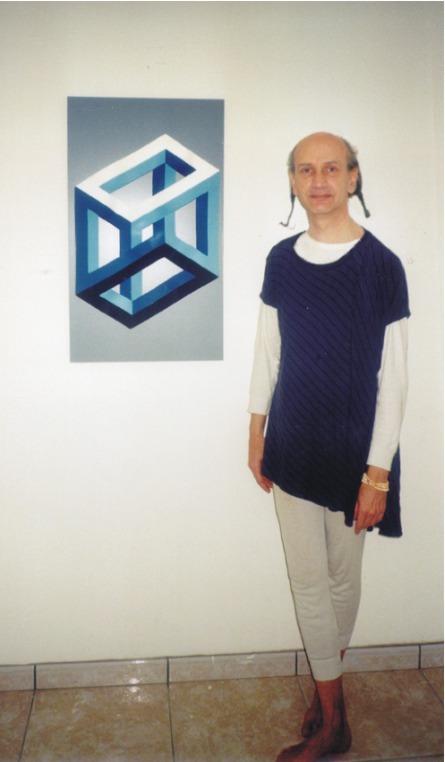 1999: International Exhibition De Trick in Japan. Two works from Mathieu where selected:. Real Virtuality en KUBIDO. 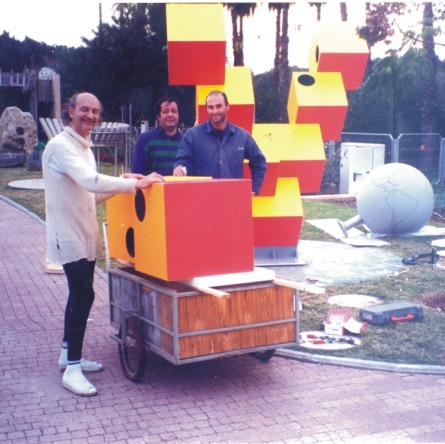 2000: Installation of the sculpture the Cube Triangle, in the Weizmann Institute of Rehovot, Israël. 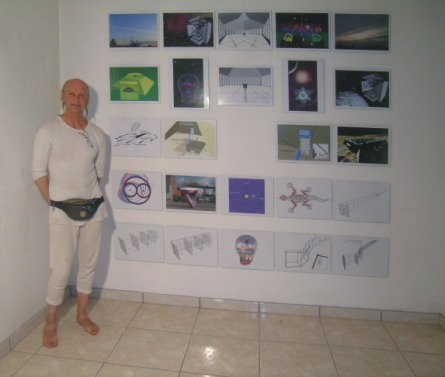 2001: KUBIDO ICC (Interactive Conceptuele Confrontatie) in the atelier of Mathieu Hamaekers Kinrooi/Ophoven. 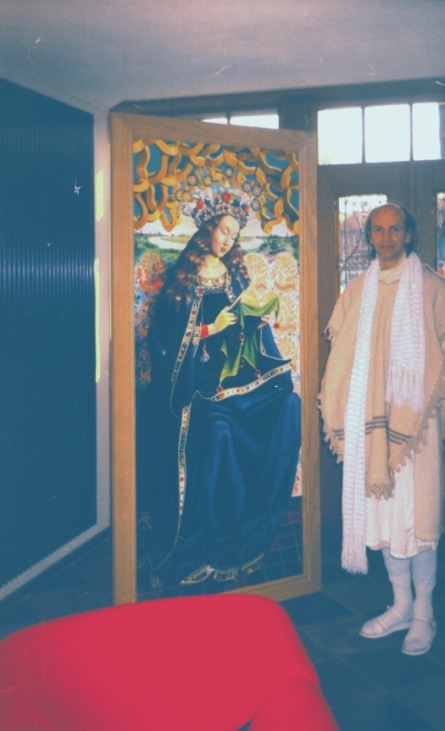 Presentation of a Inter-Active Artwork. 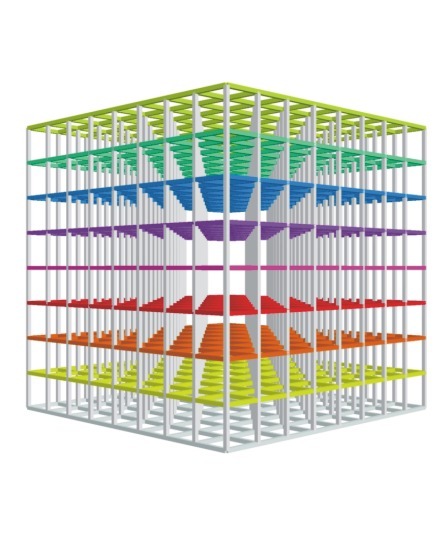 Theme: The unknown factor of Cube Space. Interaction via game and case-study to study the edge between Artwork and Product. 2002: www.worldcube.net. Conceptuele confrontatie Theme, the relation between the Cube and the Globe. 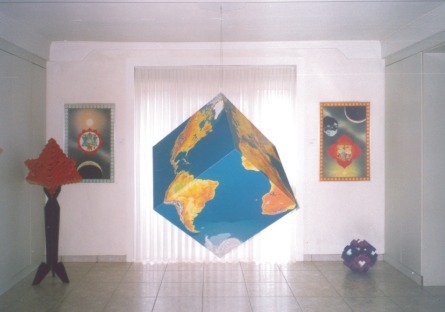 Exhibition of the earth in the shape of a Cube. Theme: Central projection. 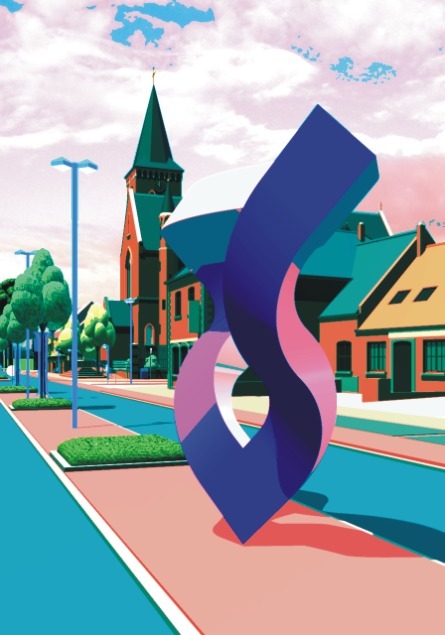 2004: Ophoven “The Blue Village” Exhibition of Ophgoven as a 3D virtual drawing of the center of the Village with Unity as the central Object. 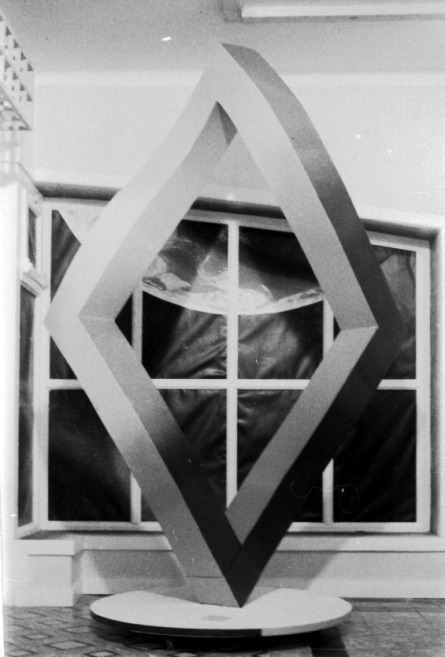 2006: Participation on the Exhibition in Hasselt, “Beteken II" with the drawing “The “ VIP” Yantra”. First drawing of the VIP methode, developed in 1978-1984 and the basis for the geometry of impossible sculptures. Some Literature with reference to Mathieu's Artwork. 2003: Truly Blaffing Optical Illusions. Published by Sterling Publishing Co.Inc 387 Park Avenue South. New York. 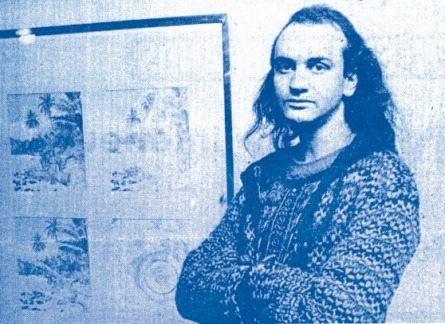 Auteur Diego Uribe, Argentinië. 2005: Masters of Deception Auteur: Al Seckel. 1998: Einstein on the Rocks. Channel 4 Groot Brittannië.